Each state has their own requirements for operating a child care center. In Virginia, child care centers are licensed by the Department of Social Services (DSS). Licensing regulates basic health and safety requirements for child care programs. License regulations include background check requirements, minimum staff to child ratios, and emergency procedures. Some programs are exempt from the licensing requirements. In home programs that serve less than four children can be unlicensed. Some programs can be religiously exempt or exempt because families are onsite such as at a gym or country club. 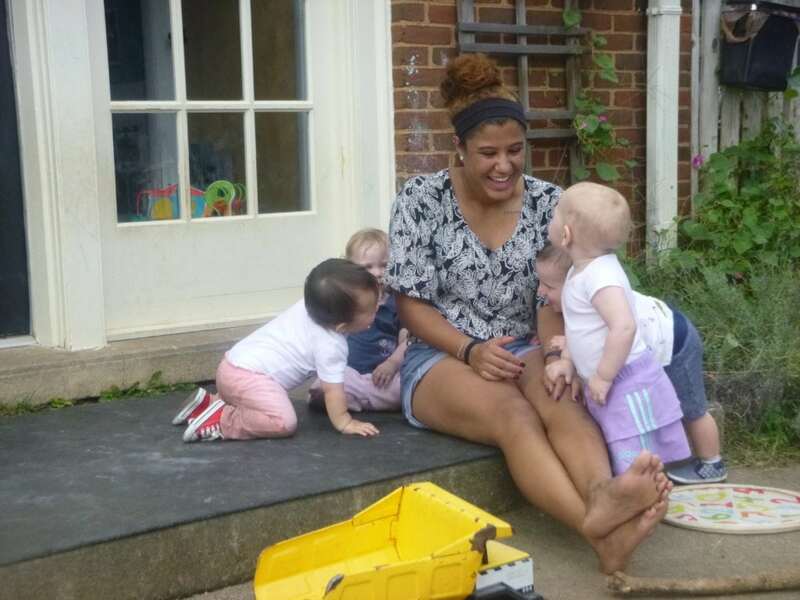 To maintain a licensed child care center in Virginia, the department of social services visits programs about twice a year, the fire marshal visits once a year, and the Health Department visits once a year. Families can enter the program at anytime while their child is enrolled, including to breastfeed. Children should go outside daily. All teachers should have a criminal background check and child protective services screening. One person on site should have CPR and First Aid training. Virginia licensing requirements require asbestos management or abatement but say nothing regarding lead paint. Child care employees are mandated reporters required by law to report any suspicion of child abuse or neglect. Virginia regulations also require 16 hours of professional development annually for teachers. Parents that don’t feel their child is healthy and safe in their child care center should reach out to the Dept. of Social Services. The link (http://www.dss.virginia.gov/facility/search/cc.cgi) above will direct you to the DSS website. If you make a complaint the DSS agents with follow up with a visit to the center. This is standard practice and nothing to be worried about. DSS can only insure our children are healthy and safe if parents and teachers speak up when they see something. The licensing agents work with centers to help them succeed in providing healthy and safe care for children. Records for licensed centers can be accessed online. Paperwork is the most typical violation. Families should weigh complaint related visits or violations for health and safety hazards more heavily than paperwork violations. If you have a question as the director about the violation. The National Association for the Education of Young Children (NAEYC) is the professional association for the early childhood education industry. Among other things NAEYC accredits early childhood programs. NAEYC goes beyond the standard health and safety requirements and looks at programs holistically. Programs who apply for accreditation are assessed based on NAEYC’s ten standards of quality; relationships, curriculum, teaching, assessment of child progress, health, teachers, families, community relationships, physical environment, and leadership and management. The NAEYC system is designed to support programs to improve quality, and practice continued reflective improvements. One of the downsides to this system is that larger corporate centers can more easily replicate the paperwork and afford the cost of accreditation which means some high quality centers that are small do not pursue accreditation. NAEYC accreditation is not the only metric of quality but it can be a resource to families looking for a child care center. Accredited programs will have intentional environments, curriculum, assessment and teaching practices. Programs who have gone through accreditation have standards for leadership and management practices that support children, teachers, families, and program sustainability. Teachers in NAEYC accredited programs are held to higher standards of education, training, and professional growth. Accredited programs go through ongoing reflection and improvement. Why aren’t more programs accredited? Only about 6% of licensed early childhood centers have NAEYC accreditation. Achieving NAEYC accreditation is challenging. To become accredited there is an intensive review of the program as well as a financial investment in the accreditation process. Time and cost can be barriers for small programs. ​​There are other quality rating systems that centers use, Including the Virginia Quality system in Virginia. These quality rating systems can improve program quality and give parents insight into program quality much like NAEYC’s accreditation. They are just less widely known and used.